One of the projects of Quota International of Angeles that made an impact to each member was the Feeding and Gift Giving Program for the Aetas or Katutubo children at Katutubo village, in Planas, Porac, Pampanga. When QI of Angeles had a feeding program in this community, the Katutubo school children requested for undies and these were given to them. We also gave the children school supplies, clothes, goodies and groceries. During the feeding program, we noticed that some of the children did not eat their food. They brought home their food packs instead. They said that they will bring it to their younger siblings and to their mothers at home. These touched our hearts. So we gave them extras. They seldom taste what we have served because they cannot afford to. 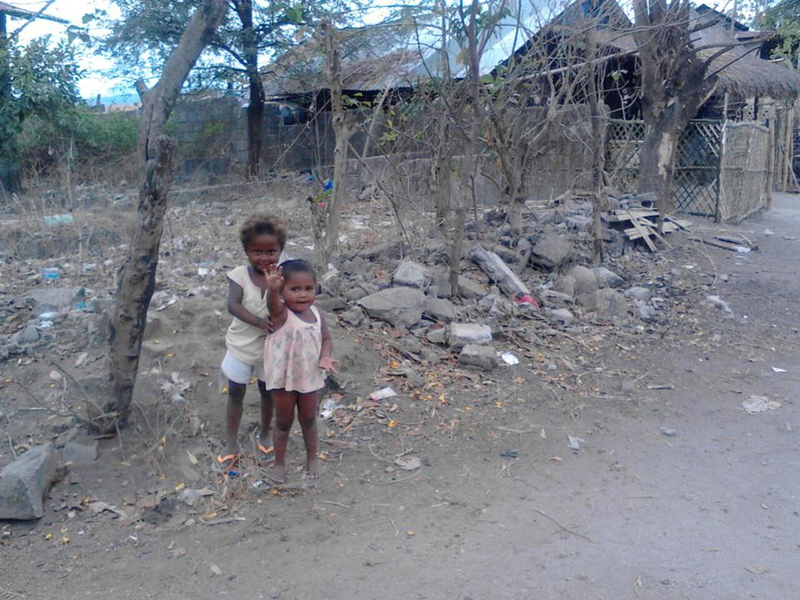 The Aetas are indigenous people wearing g-strings in the mountain. They were relocated after the eruption of Mt. Pinatubo. Their normal lives were affected. They tried to learn and cope up with the way of life on the place where they are now. But the head of the families cannot find regular jobs to support their needs. They are lucky if government and non-government organization’s come for help or support. And Quota International of Angeles is one of these organizations that continuously giving support to the Katutubo Village through feeding and gift giving programs. Feeding program is a short term help. It is in this condition that the heads of the family are requesting for a long term solution for their livelihood. They resort on going back to what they are used to, planting banana, root crops and papaya. They need seedlings for this. The Quota International of Angeles club will use its prize money to support the livelihood program, the “Katutubo Village: Planting for a Living” to paint smiles to the Aetas children and ensure food for each meal for the whole family. Quota International of Manila South visited Luwalhati ng Maynila (Home for the Elderly) in Marikina City to celebrate Filipino Elderly Week. From October 1-7, 2015 Luwalhati ng Maynila’s 278 indigent grandpas and grandmas prepare a program of songs and dances that delight all in attendance. 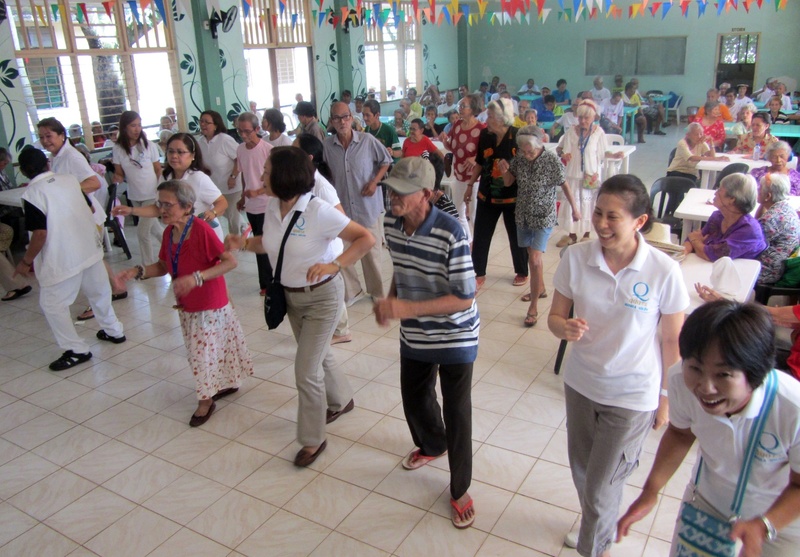 To take part in the fun, the Manila South Quotarians joined them in their dance numbers. After, the Manila South Quotarians served a lunch consisting of chicken adobo with vegetables and rice, followed by ice cream, a rare treat. Each resident of Luwalhati ng Maynila was given a gift bag of filled with clothes, towels, snacks, oranges and toiletry items like toothbrushes, toothpastes and baby talcum powders. QI of Manila South donated 100 kilos of rice, laundry and cleaning detergents, renovated the home’s clinic, and the constructed an enclosed laundry area and hanging bay. To learn more about the work Quota International of Manila South is doing in their local community visit their Facebook Page.